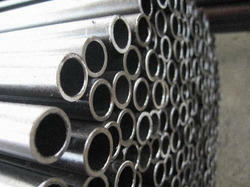 Aesteiron Steels Pvt Ltd, is one of the leading manufacturers & suppliers of Hastelloy Pipes & Tubes. 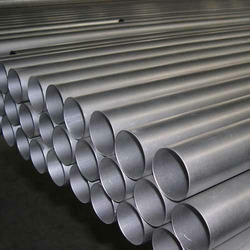 Hastelloy B is a nickel-molybdenum alloy with excellent resistance to pitting, corrosion, and stress-corrosion cracking plus, thermal stability. Applications: Hastelloy B is widely used in the turbo super charger, jet engines, most chemical process applications in the welded condition. 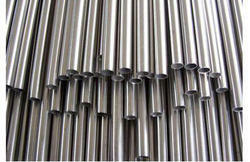 Hastelloy alloy is one of our dominant products,mainly welded tube, seamless pipe,strip, bar,wire,etc. 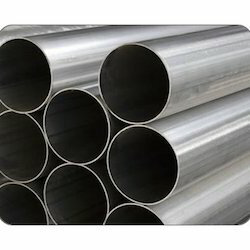 Aesteiron Steels Pvt Ltd can produce hastelloy alloy in forms of seamless pipe, welded tube/pipe, strip, plate& sheet, bar & wire, flange, tee, elbow, etc. 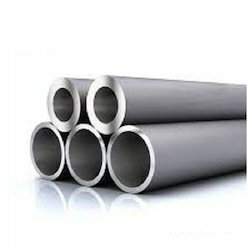 Aesteiron Steels Pvt Ltd is one of the leading manufacturers, suppliers and exporters of Hastelloy B622 Seamless Pipe/ UNS N06022/ WNR 2.4602. 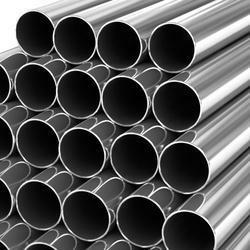 Aesteiron Steels Pvt Ltd is one of the leading manufacturers, suppliers and exporters of Hastelloy B622 Pipe/ UNS N10276/ WNR 2.4819. 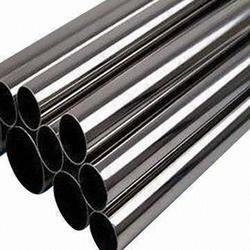 Aesteiron Steels Pvt Ltd is one of the leading manufacturers, suppliers and exporters of Hastelloy B622 Seamless Pipes/ UNS N10276/ WNR 2.4819. C2000 is widely used in the chemical field and petrifaction field, such as the element of chloride organic and catalyze system.This material especially suit for high temperature environment, impure inorganic acid and organic acid (such as formic acid and acetic acid), sea-water corrosion environment. 1. The digester and bleacher in the use of paper pulp and paper making industry. 2.Absorption tower, re-heater and fan in the FGD system. 3. The equipment and parts in the use of acidic gas environments. 6.Manufacture and processing of impure phosphoric acid. Aesteiron Steels Pvt Ltd is Hastelloy B622 Seamless Pipe suppliers. 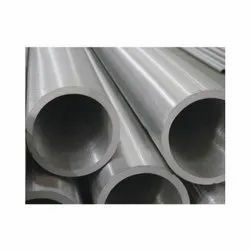 Hastelloy alloy is one of our dominant products,mainly welded tube, seamless pipe,strip, bar,wire,etc.We can produce hastelloy alloy in forms of seamless pipe, welded tube, strip, plate& sheet, bar & wire, flange, tee, elbow, etc. 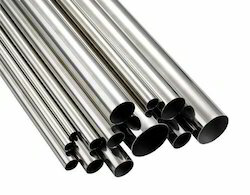 Alloy C-276 is a tungsten-added nickel-molybdenum-chromium alloy designed to offer excellent corrosion resistance in wide range of severe environments. C-276 is widely used in the chemical field and petrifaction field, such as the element of chloride organic and catalyzes system. This Alloy is especially suit for high temperature environment, impure inorganic acid and organic acid (such as formic acid and acetic acid), sea-water corrosion environment. G-3 is widely used in the chemical field and petrifaction field, such as the element of chloride organic and catalyze system.This material especially suit for high temperature environment, impure inorganic acid and organic acid (such as formic acid and acetic acid), sea-water corrosion environment. 7.Manufacture and processing of impure phosphoric acid. 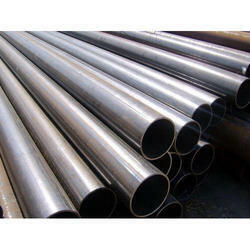 Aesteiron Steels Pvt Ltd is one of the leading manufacturers, suppliers and exporters of Hastelloy B622 Seamless Pipe. G30 is widely used in the chemical field and petrifaction field, such as the element of chloride organic and catalyze system.This material especially suit for high temperature environment, impure inorganic acid and organic acid (such as formic acid and acetic acid), sea-water corrosion environment. ASTM B619 Hastelloy B3, is a nickel molybdenum alloy with excellent resistance to hydrochloric acid at all concentrations & temperatures. It also withstands sulfuric, acetic, formic & phosphoric acids. Alloy X has exceptional strength and oxidation resistance up 1200°C. And it has been found exceptionally resistant to stress-corrosion cracking in petrochemical applications. 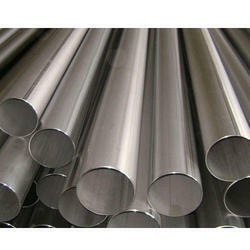 Alloy X is recommended especially for use in furnace applications because it has unusual resistance to oxidizing, reducing, and neutral atmospheres. 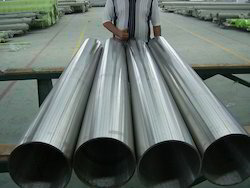 Aesteiron Steels Pvt Ltd is one of the leading manufacturers, suppliers and exporters of ASTM B829 Tubes/ UNS N10276/ WNR 2.4819. 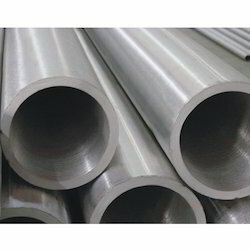 A672-B60, B65, C55, C60, C65 etc..
ASTM B619 Hastelloy C22 Pipe, is one of the well known & well proven nickel chromium molybdenum materials, the cheif attributes of which are resistance to both oxidizing & non oxidizing chemicals & protection from pitting, crevice attack & stress corrosion cracking. 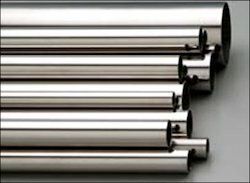 ASTM B622 Hastelloy C22, is a versatile austenitic nickel chromium molybdenum tungsten alloy with enhanced resistance to pitting, crevice corrosion & stress corrosion cracking. 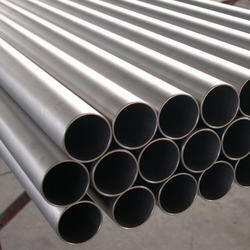 Aesteiron Steels Pvt Ltd is Hastelloy B619 Pipes Tubes Suppliers. 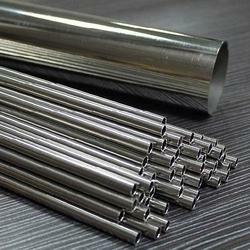 We are engaged in offering the range of Hastalloy Tube.